In 1964, Pontiac invented an entirely new market, for a class of cars that had never been seen before, with the introduction of the GTO. At least, that’s how the story is supposed to go. Anytime you sit down and start looking at online used cars, the one thing you are guaranteed to see on every listing of the GTO is that it is the “first muscle car”. So, what is a muscle car, anyway? The Merriam-Webster Dictionary defines it as “…American-made 2-door sports coupes with powerful engines designed for high-performance…” However, who put them in charge? Why does a car have to be a 2-door to qualify? What is the reason it needs to be a sports coupe? A GTO isn’t a sports coupe, for instance. It’s a hardtop coupe with nothing to set it apart from a sedan except that it doesn’t have side pillars. For the generation that was actually around in the 1960s and 1970s when these cars were burning asphalt and rubber, the definition of a muscle car is entirely different than what you see today. 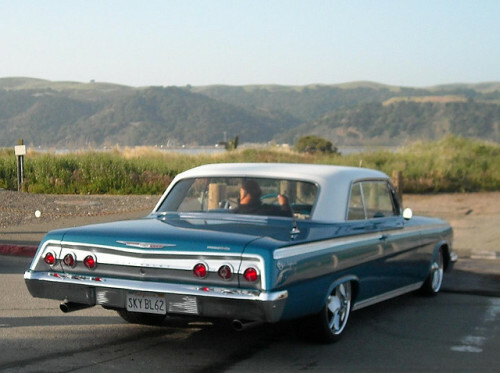 If you were to ask your average car nut today if a 1962 Impala SS with a 4-speed, dual exhaust and a 409 with two carburetors under the hood were a muscle car, most would answer “yes” without even thinking. To someone who was around at the time that car was produced, however, the answer is definitely “no”. That was normal equipment for a car of that size. The definition at the time was simple, actually. It was an intermediate body, the “small car” in a company’s lineup (like the Pontiac Tempest), but with the engine from the “big car” in the company’s lineup (like the Pontiac Catalina). The number of doors, the transmission or the body style had nothing to do with it. Based on this definition, there were many “muscle cars” produced before anyone even thought of a GTO at Pontiac. In 1949, Oldsmobile brought out the Rocket 88, a newer, smaller body than the Olds 98, but with the big, powerful engine from the Model 98 under the hood. It won six of nine NASCAR races and won the Mexican Road Race the following year. Was this a muscle car? 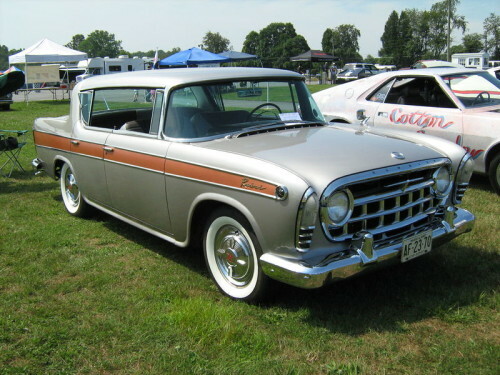 Consider the 1957 Rambler Rebel, a compact car with the Ambassador 327 4-barrel and dual exhaust. That was the fastest carbureted production car in America at the time. Its 0-60 time of 7.5 seconds and a ¼-mile time in the 15s was faster than the Corvette, except the fuel-injected version. In addition, American Motors had planned to put electronic fuel injection on the Rebel, too. This was a special-edition car with special paint and special trim. Was the ’57 Rebel the first muscle car? In 1963, a year before the GTO, Studebaker equipped special models of its Lark compact car with the Paxton-supercharged R2-spec 289 V8. This was a small-bodied 2-door hardtop with a very powerful V8 from the larger Studebaker Commander and Hawk. It was called the Super Lark, and it was faster than anything offered by the Big Three. Why wasn’t the Super Lark considered the first muscle car? In the end, as time has gone by, the term “muscle car” has come to mean just about any car with a V8, headers and performance exhaust. As long as it sounds right and has that boot in the backside, it’s a muscle car. And maybe that’s the way it should be. Because, looking back at it, maybe the 1932 Model A coupe with three two-barrels on a flathead V8 was the first muscle car, right? Horsepower enthusiasts shouldn’t let little details or brand preferences stand in their way. If your car has muscle, it should be called a muscle car. Now get out there, and start flexing. What distinguishes the ’64 Pontiac GTO from the other cars mentioned was that the GTO was priced, and MARKETED, to young men with working-class incomes. The GTO also had better brakes and an upgraded suspension. The Rambler was too frumpy, the Impala was too big, and the Studebaker was too expensive and nose-heavy. The Stude’s 289 was grossly overweight for its displacement. Thus, the GTO became the first MASS MARKET muscle car. 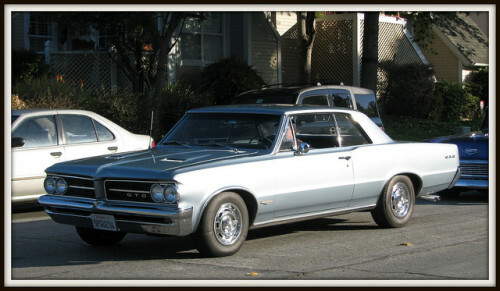 The gto couldn’t compete with the 63 studes with an r2 supercharged engine. Even 7 to 8 years latter the little 289 stude now a 304 put out 365 horses to the Rear Wheels with 6 pounds of boost. Waxing chevelles, road runners, corvettes, yenko nova, olds 442 with a w 30, and even a 455 gto. So maybe Studebaker was a formidable muscle car in 1963. Check out the pure stock muscle car drags or search “the plain brown wrapper” for results.